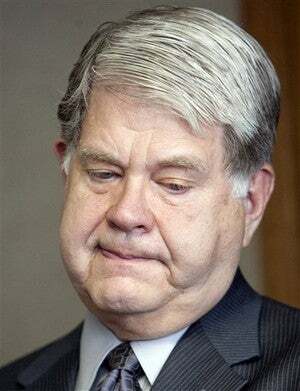 The AP is reporting that Nebraska doctor LeRoy Carhart (pictured) will step in to fill Dr. George Tiller's shoes, but the threat that anti-abortion group Operation Rescue will buy Tiller's clinic is unfortunately very, very real. Carhart, a longtime colleague of Tiller's who also performed abortions at Tiller's clinic, currently works in Nebraska but said he would start providing late-term abortions in Kansas. He declined to discuss the details of his plan, but he did say of late-term abortions, "if I have to train the staff and if I have to do them, then that's certainly an option." Meanwhile, Operation Rescue's plan to buy Tiller's Wichita Clinic, which Tiller's lawyer Dan Monnat dismissed as a stunt, may be much more than that. Josh Harkinson of Mother Jones explains that the anti-choice organization previously bought a Wichita clinic — now its national headquarters — through a front group. That means, "if Tiller's family puts the building on the market, they might have to sell to someone they know or closely investigate the buyer to keep the building out of [Operation Rescue's] hands." Although an overwhelming majority of abortion opponents bear no responsibility for the doctor's murder and should feel free to exercise their constitutional freedoms to the fullest extent, there is a violent fringe on the far right that has earned the designation of terrorist. And the federal government is responsible for ensuring our safety from those menacing forces. That designation would unleash vast federal powers to investigate large swathes of the radical anti-choice movement and hold accountable anyone who gives them the slightest aid and comfort. The feds are simply not prepared for the political fallout that would ensue if, say, Operation Rescue were officially designated as a terrorist organization. If I could get my hands on Tiller. Well, you know. Can't be vigilantes. Can't do that. It's just a figure of speech. But despicable? Oh, my God. Oh, it doesn't get worse. This kind of rhetoric didn't kill Tiller, but it certainly made it easier for someone like Roeder to actually become a vigilante, and to feel that powerful people in the antiabortion movement were at least tacitly on his side. Let's hope the government action Harrison calls for actually happens, so that no other doctors have to face Tiller's fate.